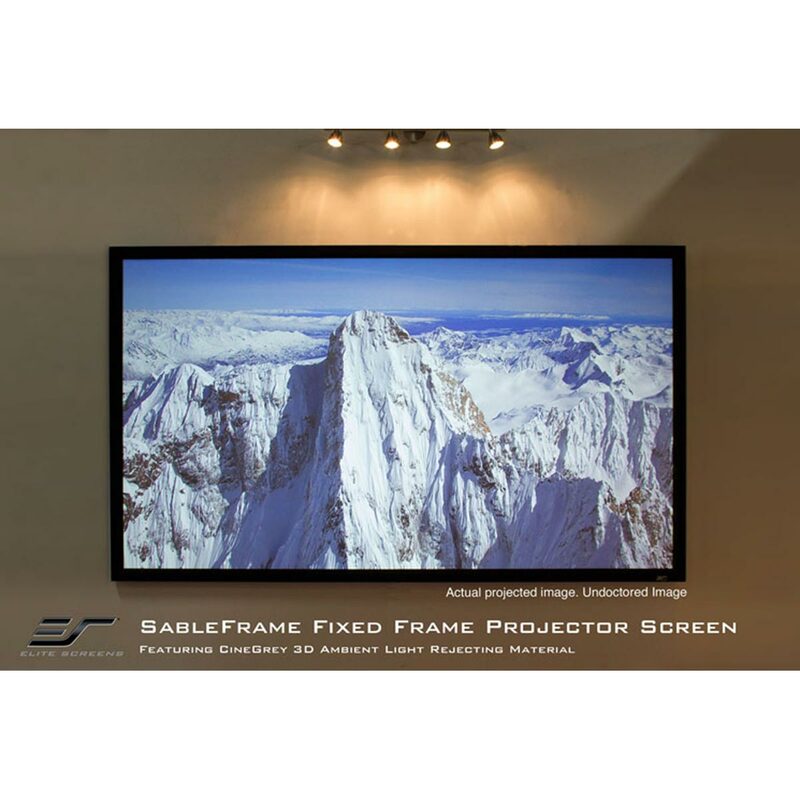 The Sable Frame 2 from Elite Screens is an entry-level fixed frame screen for today's home cinema projectors. It's easy to assemble and installs in minutes. 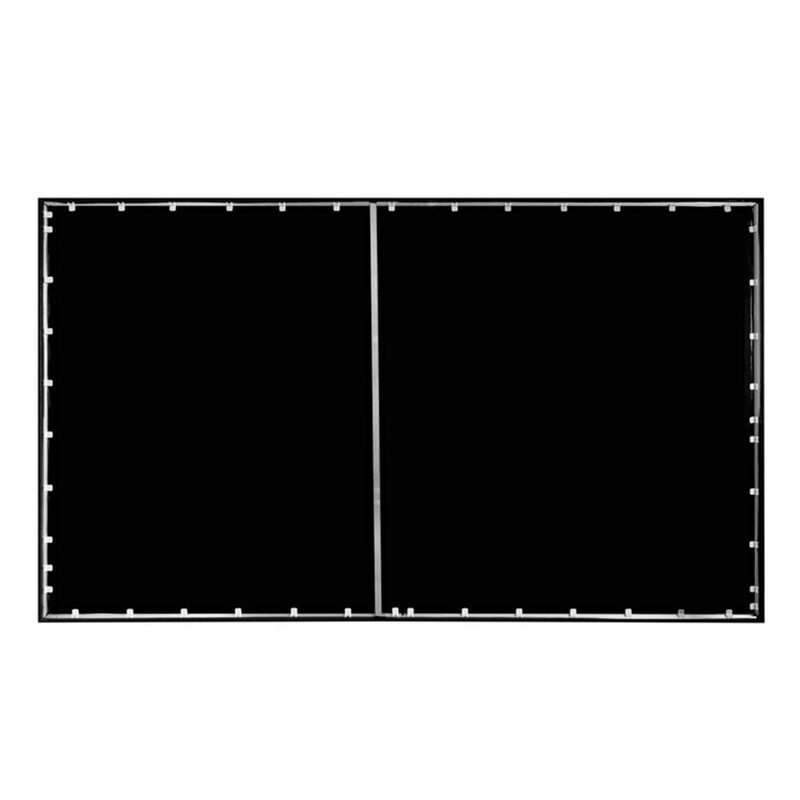 The black velvet-surfaced 2.4" aluminum frame enhances your wall's overall appearance and absorbs projector light overshoot for crisper images. The highly versatile CineWhite Gain 1.1 flat tensioned screen material provides a 160-degree viewing angle for a satisfying picture from nearly anywhere in the room. 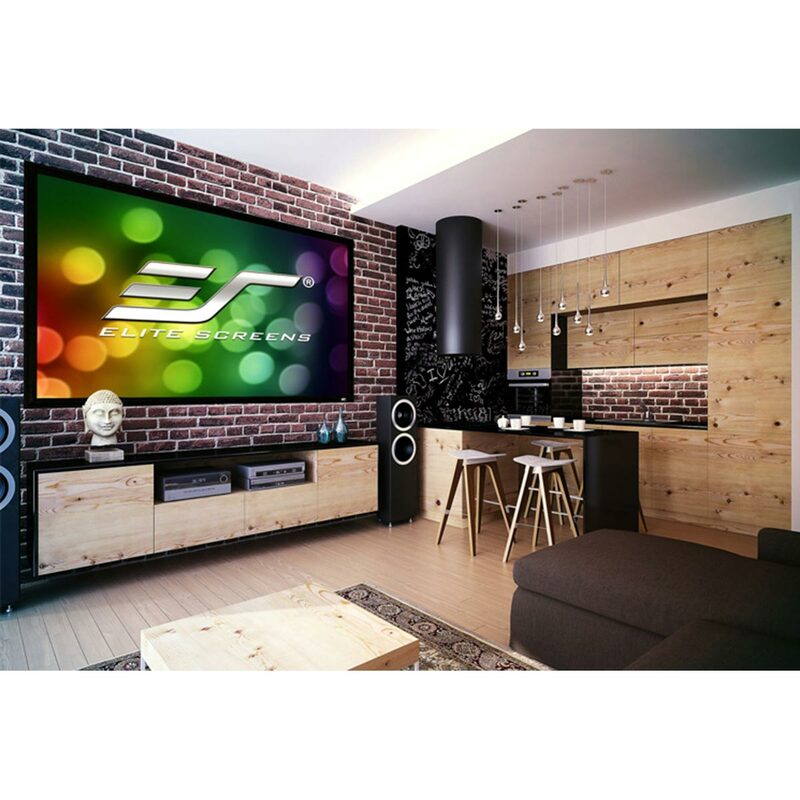 Adjustable fix plates provide equal tension over the entire projection surface, while sliding wall mounts ensure the installation is properly centered.